There’s no need to RSVP or make an appointment – simply stop by to meet with someone from membership and have your questions answered. And if we can’t answer them, we’ll help connect you with someone who can. We look forward to meeting you! Lunch & Learn: Small Business Owners - What Keeps You Up At Night? Join us for lunch and a short but informative session answering some questions common to business owners everywhere! With plenty of time for Q&A, you'll be able to pick the brain of Mark Brown, a local financial advisor with over 30 years of industry experience. Can it survive the loss of a key employee? How do I attract productive employees when my competitor offers top notch benefits? Am I on track for this business to fund my retirement in 10 years? If my business partner dies or becomes disabled, do I want to work with his spouse or child who doesn’t know the business? If not, is their funding in place to execute on our buy/sell legal agreement? Am I being tax efficient for the business and in my personal financial planning? Mark is a Financial Advisor with over 30 years of industry experience. As a Retirement Income Certified Professional, he focuses on getting the building blocks right to help ensure protection/replacement of income streams, accumulation and risk-adjusted growth of assets, plus distribution of assets during retirement which is both tax-efficient and conducive to long term portfolio growth. With the Chartered Financial Consultant® certification, Ron helps business owners design customized, high quality benefit solutions for key employees, establish continuation and succession strategies, as well as implementing executive retirement and benefit plans. He consults with many types of businesses, from publicly traded companies to varying sizes of privately held firms which helps him to be prepared for any situation we encounter.
! We want to know what you do, what makes you different from your competition and how we can help you! The more we understand about your business, the better able we are to help promote your business and send you referrals! This small, personalized meeting format also gives you the opportunity to connect with other attendees to network and help each other. We've had many deals and partnerships made between members at our monthly Member Showcases! All Chamber/Bureau members are invited to register. However, attendance is limited to no more than 8 businesses each month, so sign up early! Members may participate in one Member Showcase every 12 months and priority is given to member businesses who have never attended one. Chamber/Bureau staff members from International Marketing, Tourism Sales & Marketing, Group Sales, Visitor Services, Special Events, Digital Content, Social Media and Member Services teams are invited to meet you and learn about your business. Exact Chamber/Bureau staff attendance may vary at each Member Showcase. Bring printed materials (business cards, brochures, rack cards, etc.). Be prepared with a 3-5 minute presentation about your business (presentaions will be timed to ensure everyone has an opportunity to present). Bring photos or product samples for everyone to look at, if applicable. Bring laptops, cords or any other accessories you may need if your 3-5 minute presentation includes a video or digital photos. We have an HDMI cable and a television, but you will need to provide anything else you require. Presentations must be limited to 3-5 minutes each and will be timed. We know your time is valuable and this will allow us to keep the total meeting limited to one hour. We are sorry, but you will have to forgo your spot if you arrive late. Note: This event is only open to registered Park City Chamber/Bureau members and Chamber staff. Walk-ins, whether partners or not, will not be admitted. What is National Travel and Tourism Week? Established in 1983 by President Reagan, National Travel and Tourism Week (NTTW) is the annual salute to travel in America. 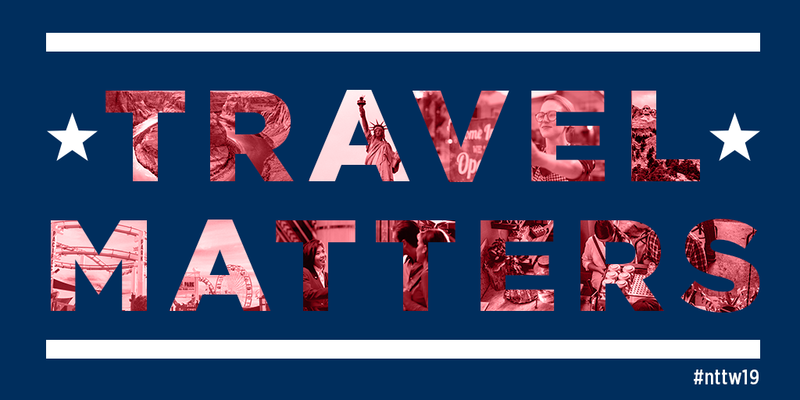 During the first full week in May, communities nationwide unite around a common theme to showcase travel’s contributions to the economy and American jobs. Join us on May 7th and help us celebrate how much "Travel Matters"! This is a free event that is open to the Park City community and no RSVP is required. NOTE: Parking is very limited and public transportation is strongly recommended. The Electric Express runs every 10 minutes to the Kimball Junction Transit Center, which is within walking distance to the Visitor Information Center. Click HERE for the most current transit information and schedules. This event is free and all current Chamber/Bureau members are invited to attend. Not a member yet but curious about the Chamber/Bureau? Prospective members who haven’t attended an event with us before are invited as well! Headquartered in Park City, Utah, Skullcandy designs headphones, mp3 player watches, audio accessories and other audio-enabled lifestyle products, such as backpacks with built-in speakers and iPod controls. The company collaborates with select sports and entertainment brands to integrate its audio technology into products from snow helmets to outerwear, apparel, packs and bags. 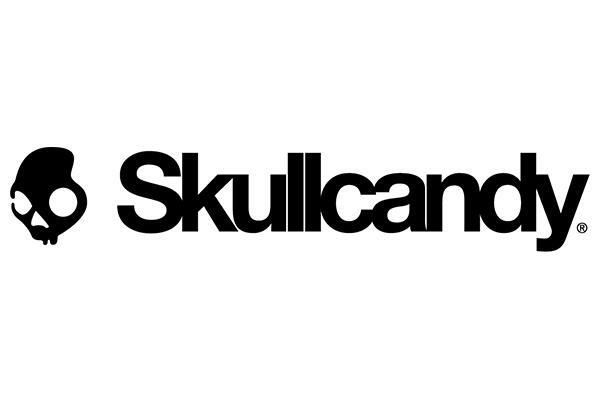 Skullcandy’s audio gear is sold worldwide through top retailers and specialty outlets, and at www.skullcandy.com. The Park City Chamber/Bureau cordially invites you to attend this year’s second annual Wasatch Back Economic Summit on Thursday, May 30th from 8:00 AM – 1:30 PM at the DeJoria Center, 970 N State Rd 32, Kamas. Registration is now open so reserve your spot today! As we connect communities, learn about the key economic topics facing Summit and Wasatch Counties at this can’t-miss event featuring keynote speakers, informational presentations, breakout sessions, updates from industry leaders and great networking opportunities with Wasatch Back businesses and officials. Sarah Calhoun, entrepreneur and founder of Red Ants Pants. This event is proudly sponsored by the Park City Chamber of Commerce/Convention & Visitors Bureau, the Heber Valley Chamber of Commerce, the Park City Board of Realtors, Park City Municipal, Summit County and Wasatch County. Individual registration is $55 per person if purchased in advance, and $75 at the door (if not sold out). Tables of six are available for $300. Tables can accommodate six people only. Please also note that last year’s event sold out and we were unable to accommodate walk-ins the day of the event, so please register ASAP!